The EPA now requires companies who engage in renovation, repair and painting in pre 1978 housing and child-occupied facilities to be trained and certified as "certified renovators". The EPA adopted the RRP rules to protect residents and especially children from lead exposure during renovation activities by educating, training and requiring lead safe practices when lead paint is present. This new law presents a number of challenges (it will cost a little more for some projects) and opportunities (for certified companies) and should not be taken lightly as the EPA fines are substantial, but more important is the fact that these rules are in place to protect children and failure to comply can lead to liability and negligence claims that could break a business. Ironically, many of the contractors in our area are ignorant of this law and many others don't plan to comply and homeowners need to understand this. 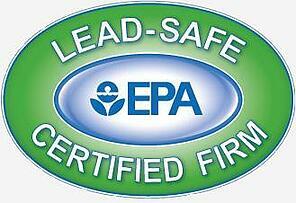 Harbor Paints completed EPA certification earlier this year. We plan to have all of our people certified as a minimum standard to work here. All of our people currently have the OSHA 10 hour safety training and we will include this as part of our ongoing and onboard training. On April 22, 2010 this will become the law of the land.